Designed by Tom Fazio, this ultra exclusive par 72, 7,343-yard course is second to none. Carved out of an old limestone quarry, the exposed rock faces form dramatic contrasts to the lush, rolling greens of the fairways and offer tremendous elevation changes. These spectacular golf holes present a once in a lifetime experience that is simply not to be missed! With lush greens, five lakes and immaculately cut fairways, the Country Club course is a golfer’s paradise. 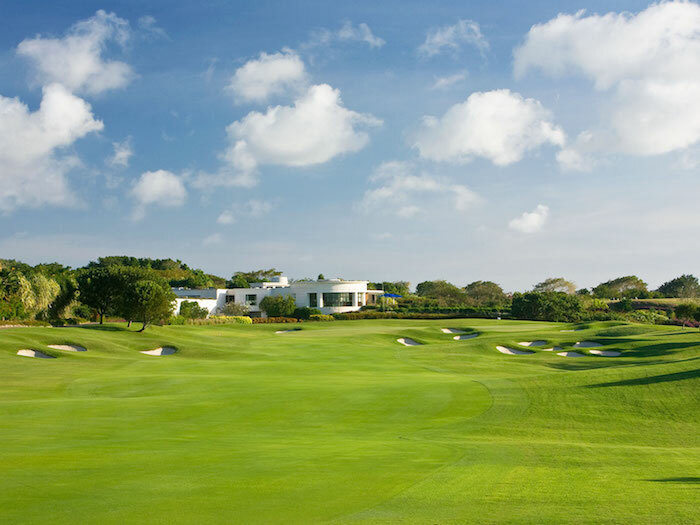 Also designed by Tom Fazio, this challenging par 72 course, 7,060-yard course affords breathtaking views of the Caribbean Sea. Home of the 2006 World Cup of Golf, this captivating course will delight you. At 3345 yards, par 36, the Old Nine with its tree-lined fairways, is intimate yet demanding. With small greens and tight fairways, the course provides a real challenge to the golfing visitor.